Here in Australia, Boxing Day is our "Black Friday." It's the day after Christmas Day and stores have massive sales to help get rid of any post Christmas stock. While it's been a huge event for our department stores for many years, online shopping has made grabbing a bargain much easier (with the added benefit of not having to battle people for the last gift box!). 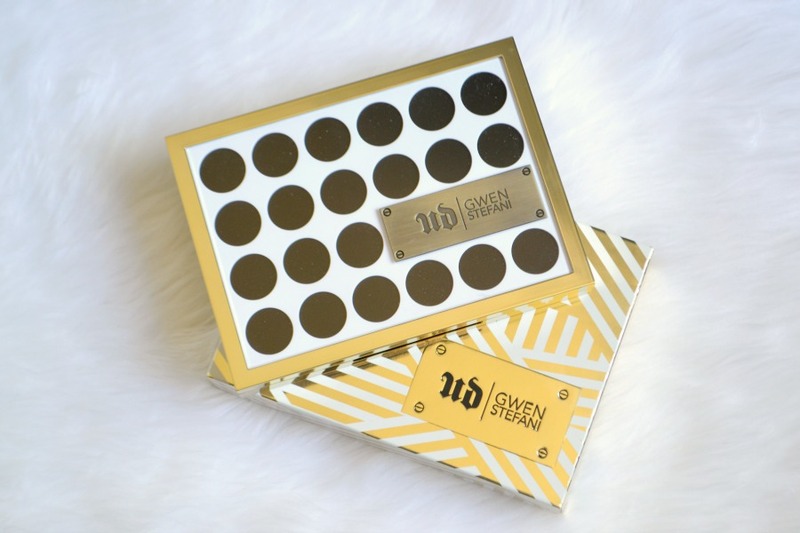 Adelaide has no Mecca Maxima stores, so I had to order the Urban Decay Gwen Stefani Eyeshadow Palette from Mecca online. While this has been available for a while in the US, it was only released on Boxing Day here. I'm IN LOVE with this palette. I feel like it was made for me. I know a lot of people have said there's not much in the way of colour selection, but for someone pale it's the perfect palette. It retails for $95 here in Australia so it's pricier than the other palettes that UD sell, but you really see the amount of thought that went into both the palette and the packaging and shade names. The packaging is gorgeous although it's quite heavy. I can't wait for the rest of the UD x Gwen collection to be released. Lipstick Republic is an Australian online store that sells brands like Sigma, OCC, Lime Crime, Jeffrey Star, Morphe and more. They had 25% off so I put in an order for some products that were on my wishlist. I have previously ordered a Benjabelle Brush Tree from them and I wanted to buy another one. I already have the Mini Brush Tree, which holds 24 eye brushes but I wanted to get a large brush tree that also holds large brushes. I decided on the Sunflower Brush Tree as it holds both small and large brushes. I also ordered the spinner bottom as I don't have it on my other brush tree and I wanted to see if it was more helpful while washing my brushes. I've never been one for Sigma brushes (youTubers pushing their code down my throat makes me side eye the company) but I received a mini E25 Blending Brush in a Bellabox previously and I really loved it, so I ordered a fullsize one from their copper line. I also ordered the Sigma E45 Small Tapered Blending Brush as you can never have enough blending brushes. I thought that this would be great for me as I have small eyes and some blending brushes are bigger than my eyes!! And finally I ordered the Barely Cosmetics Definer Soft Sponge to apply my foundation. I like the shape of this. I haven't tried this yet. I can't wait to see how it compares to my beauty blender and RT sponge. I love Soda & Co's Instagram page of their natural body products and lipbalms. Their packaging is super cute and I love their pictures. When I saw that they had 30% off, I decided to finally make an order. Because I haven't tried their products before, I decided to buy a pack that includes a body wash, body lotion and a sugar scrub that's in an adorable cosmetics bag. I struggled with which scent to choose from (pink lemonade, mint burst or orange splash) but finally decided on pink lemonade as I was worried that the others would smell like bathing in toothpaste or orange juice. I've been using them and the body lotion is the stand out for me. It feels thick when I put it onto my skin but it seems to melt and sink into my skin quickly. The sugar scrub is also amazing for leaving my skin smooth and soft. While I like the body lotion, it's a more subtle scent than the lotion and scrub. I hope that they eventually sell a vanilla or a lavender range as their 3 current scents are quite uplifting and I love using something relaxing at night. Did you purchase anything in the Boxing Day sales? Awesome Boxing Day haul! I didn't buy anything in the sales - trying to cut back!! I have the same brush tree and I love it!! I love my E25 minis but now I want to try the E45! The brush tree is wonderful. It makes washing my brushes so much easier and less hectic. I haven't touched the sales since I'm waiting on Priceline's 40% off skincare sale sometime this month. 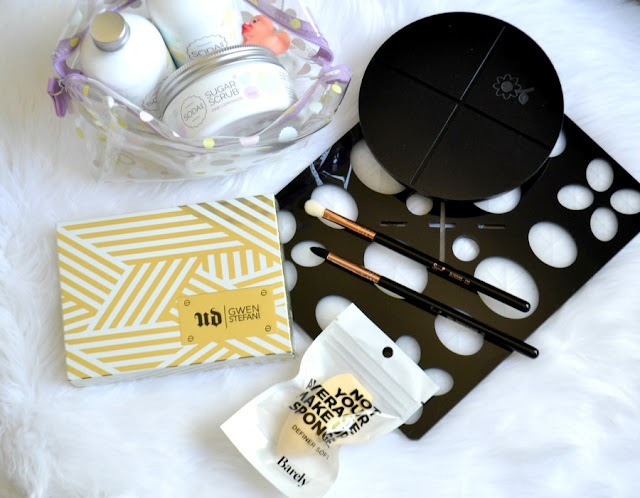 I'm lusting after that same Benjabelle brush tree you bought! I own that same Sigma tapered blending brush (albeit with the silver ferrule & writing, not the copper) & if I'm honest, I don't like it. Whilst it feels soft at first, after you wash it it becomes scratchy...or at least that's what's happened to me. Not sure what I can do to get it soft again...maybe use some conditioner? The brush tree is fantastic. I'd recommend it!! It makes cleaning your brushes a lot easier and less messy. Ohh that's no good! What do you wash your brushes with? I can't remember what I washed that one with at first, but normally I use a mild shampoo (Moogoo's one) to wash my brushes. I might've used that, but I'm not sure why it made the brush scratchy, unless I was using the wrong product for the type of brush that it is (I think it's synthetic hairs?). Brush trees are so great, aren't they? I wouldn't mind trying that scrub.